Why Research Your Family Tree? 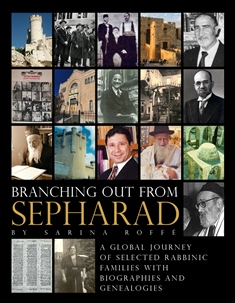 Sephardicgen.com Sephardicgen is a free, easy-to-use-genealogy website featuring databases, research tools and other resources related to Sephardic Jewery. JewishGen Databases JewishGen is a free, easy-to-use genealogy website featuring databases, research tools, and other resources to help those with Jewish ancestry research and find family members. Jewish Genealogical Society of New York The Jewish Genealogical Society, Inc. (JGS) was founded in New York in 1977, becoming the first of what are now over 80 such societies worldwide. Their website contains information such as a name index to Brooklyn (Kings County) naturalization records, searchable database of names and cemetery locations, Indexes of Landsmanshaften records from YIVO, WOA, Jewish Communal Register and American Jewish Yearbook. They also have publications such as Dorot, a members only magazine full of informaiton related to genealogical research. IAJGS The International Association of Jewish Genealogical Societies (IAJGS) is an organization of organizations formed in 1988 to provide a common voice for issues of significance to its members, to advance our genealogical avocation, and to coordinate items such as the annual International Conference on Jewish Genealogy. Jewish Genealogical Society of Long Island “JGSLI was founded in 1985 to encourage and assist the pursuit of Jewish family history. Our goal is to bring together people interested in tracing their Jewish family roots.” One of their resources is from their Yearbook Project which provides a list of yearbooks and where they are available. They also have a set of great short instructional videos.